Since LinkedIn’s program to support US military veterans was launched in 2011, we’ve learned some powerful lessons about how our 2.5 million US military veteran members provide and seek help from each other. 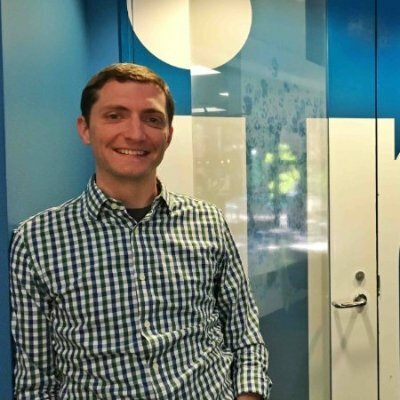 Through their support of one another during the transition to civilian life, veterans have grown into one of LinkedIn’s most active and connected communities. This year we’re sharing the story of Moses Maddox and Angie Pazmino, two veterans of the US Marine Corps who are working to chart a course for Angie after service. Like many veterans, Moses has dedicated himself to helping others find their way in civilian life - he helps his fellow veterans set goals and make a road map for the future. And like many veterans, Angie Pazmino is in search of a career that provides a strong sense of meaning similar to her military service. Motivated by the ability to help others, she has decided to pursue an education in physical therapy. The military ethos of “leave no one behind” is widely celebrated. Our well-intentioned culture tends to paint all veterans with a heroic brush, assuming superhuman feats of sacrifice which actually can make veterans seem out of reach or unrelatable. In reality, much of military life – and life in general – is much less dramatic, but no less heroic. Rather than dramatic acts of heroism, service to country and community comes in thousands of small acts of loyalty, support, and sacrifice. Veterans continually seek ways to give back, instinctively looking after one another, their coworkers, their families, their neighbors, and their communities, as Moses does for Angie. This year on Veterans Day, if you want to thank a veteran, here are a few ways you can get involved. LinkedIn can help you reach out to someone you know who is in transition – a veteran or otherwise – and help them achieve their next step. You can provide a connection to someone in your network, or give them 30 minutes of your time to lend some career advice by opting-in to LinkedIn’s Career Advice hub so we can match you with those seeking your expertise. If you’d like to support a veteran, consider joining the Veteran Mentor Network to help answer veterans’ career questions. Finally, please visit linkedin.com/military to learn more about LinkedIn’s efforts to support veterans as they look to the future and share our resources with the veterans in your network.